New and Innovative Art Supplies from Jerry’s can Increase Your Artistic Abilities! This year, one of our favorite resolutions is to expand our collections of art supplies and broaden our artistic capabilities with new products designed to enrich and enhance our art. 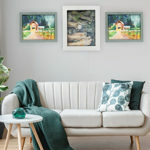 Right now, Jerry’s Artarama has many new and exciting products made to help you reach your full potential as an artist. 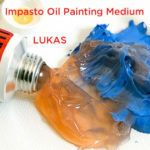 We have new products that will broaden your drawing and painting horizons in exciting new ways. 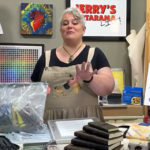 Whether you’re looking for something to make field work and plein air painting easier or you want to get started easily in a new type of medium, Jerry’s has everything you need to get started. trace over an image or photograph than with bright and strong LED lights clearly outlining your work. The Acurit Light Tablet provides a lit, scratch resistance surface that is perfect for tracing and never gets hot. Creative Air Airbrush Sets– If you’re a seasoned pro or a new beginner, Creative Air has airbrushes for all skill levels. Easy to use sprayers provide an even, steady application of paint that can be adjusted easily to get the definition you need. Chelsea Classical Studios Lavender Brush Cleaner– Looking or a new way to clean your paint brushes without the toxic smells and harsh chemicals used in turpentine and mineral spirits? Lavender Brush Cleaner is made with all-natural ingredients including lavender that gives it the ability to clean brushes as well as any other cleaner, but without the harmful odors created by those other cleaning materials. Instead, Lavender Brush Cleaner produces a nice lavender aroma. Winsor & Newton Watercolor Markers– Expand what you thought you could do with both watercolor paints or markers by combining the two together. Now, enjoy the brilliant flow of watercolors with the creation of finer details and controlled lines of markers in this innovative hybrid. Jerry’s is dedicated to bringing artists many new products this year, just like these to better let you express yourself in ways you haven’t even imagined. So be sure to keep up with our New Art Products Page and find what you need to make 2015 your most artistic year yet!